All the noises coming out of the press this evening suggesting that Seymour and Maits will get the wing spots and Blairhorn will be on the bench. Tough on him, but there are two quality wings who, as others have said, have the experience to go with the skills. Hopefully he will get a good run off the bench during the game. Cyril wrote: A draw would be nice. 9-9 would stoke up the fires for our southern brethren to say there’s no rugby played on the NH. RDW wrote: Who is giving this chat? Hattrick and voted player of the weekend (harsh on Vunipola), but can't keep his place! We need to nip this one quickly before the luvvies take things out of hand and stain their red cords. The lad played really well and he took his tries well, but lets be clear that they were wingers tries. He may have been picked as man of the match, but we scored those tries because Dancer was on song and we were playing a debuting 12 that has the potential to be the complete package. Kinghorn has bags of potential. Maitland is a British Lion that is first choice for the best (or second best) club side on planet earth. I would have brought Maitland back in but for Seymour! Naw you and Tattie would conspire to have Kinghorn at FB with Damian Hoyland & Darcy Graham in you couple of corduroyed fanatics! Might even find a place for Dougie Fife on the bench. Truth is it doesn't matter which two of Maits, Tam or King Blarehorn plays as they are all quality international wingers. (Though Seymour absolutely pasting Campagnaro causing a turnover at the weekend was a thing of beauty). None of it matters if we end up getting marmalised up front and at the set piece. To be honest I completely agree with you on the last paragraph - whoever we pick we have one of the best back 3s in the competition. Seymour and maitland have a lot credit in the bank, I just don't think it sends a good messages about supposedly rewarding good performances! I agree but playing Ireland is very different from playing Italy. If I was Kinghorn, I would be eased into this cauldron gently. I'm not sure he needs easing in GC - he's only 22 but already has over 60 Edinburgh caps including champions cup games and knock out challenge cup games. He's also not making his debut - he's got several Scotland caps, including one away to Ireland! 22, eh? My haircut's older than that. When are the teams out incidentally? George Carlin wrote: 22, eh? My haircut's older than that. Don't bother turning up Scotland. Yesterday saw one of the most amazing tries ever seen as Scotland secured a great win over a hard fighting Ireland. with only 2 minutes left on the clock, Scotland were 4 points behind when deep in their own 22, Tommy Seymour rose like a majestic salmon and took a mark from a high ball but was clattered round the head by the oncoming Irish chase. Seymour was then taken off for a precautionary HIA (and was found to be absolutely fine and will be fit and firing for the game against France in two weeks). On comes Blair, man of the hour, Kinghorn. Scotland, in a rush to get things moving, have already moved Maitland over to the right wing which means Blair just jogs onto the pitch 1 metre and is already in place. 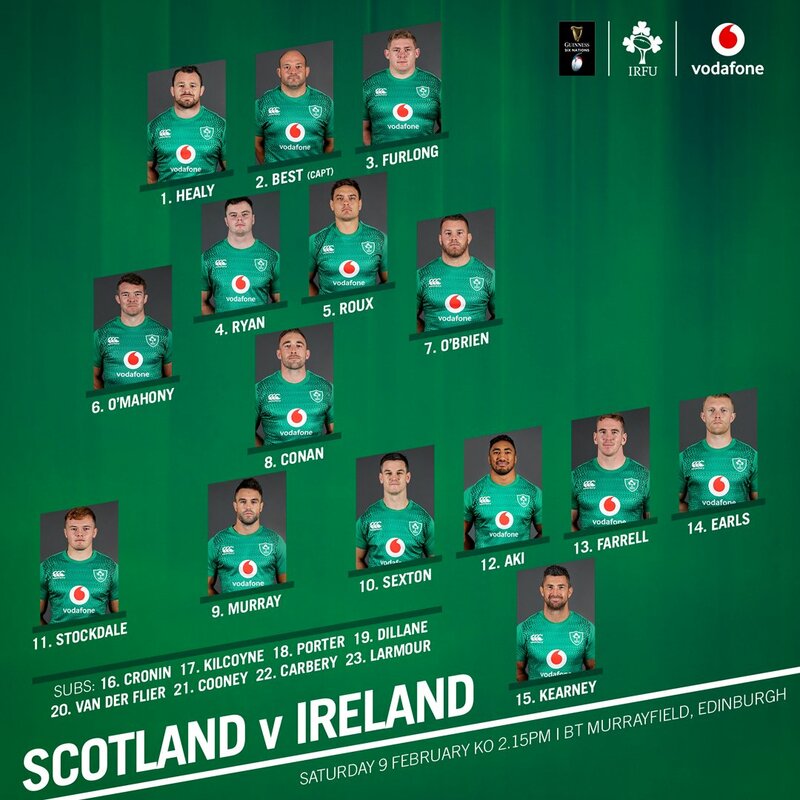 Ireland, the pragmatic team that they are, all move back in readiness for the kick to touch that Scotland need for field position. Cheered on by Niko Matalawu, who was heard to shouting from the stands to his Glasgow team-mate, Stuart Hogg "Do a mental mata move ya big Borders bampot", Stuart Hogg popped a crossfield kick into the arms of Kinghorn. Kinghorn then ran 40 meters unopposed and was meant by Stockdale of Ireland. Kinghorn dipped the shoulder and went through Stockdale. He then took a sharp right and danced his way passed Rory Best, Cian Healy and Bundi Aki. Robbie Henshaw then lined up Kinghorn for a big hit but Kinghorn stopped. Then ran backwards and was heard to shout "Well this is what Niko would do". Kinghorn then ran all the way back to his own posts, then darted off back up is touchline, high-fiving the guys eating pizza on the subs bench. He then stepped Rob Kearny and then ran through Connor Murray and Sexton who tried to double team him. A clean break saw Kinghorn reach the 5-metre line but then Peter O-Mahony jumped on him. Kinghorn, knowing he was near the line, then pumps his legs and dives toward the touchline like Chris Ashton off a bouncy castle and dots the ball down to a thunderous applause from the Murrayfield crowd and an excited Maro Itojoe who appears from nowhere to clap enthusiastically. Scotland win and Kinghorn wanders over to crowd to sign some autographs for admirers in the crowd, a large group of children but also Superman, Batman (the real one, not the kebab shop one) and Chuck Norris. Collapse2005 wrote: Don't bother turning up Scotland. That's the current 5 Nations champions that you're insulting. Guinness is a poor man's Belhaven Best. Well it would present some progress from last week I suppose! I've only been to Dublin once, and it was for a Radiohead concert. I think I'm going to go right ahead and say what we were all thinking. 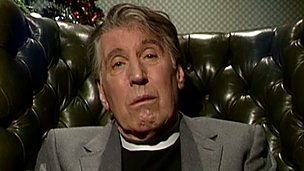 I think only one Scottish player would get into the Ireland team. Stuart Hogg, however, we would probably still miss Kearney. I'd take Mcinally over Best any day. Any of our wingers over Earls too. Apart from that you're probably right...! Or are we only counting players due to take the field on Sat? Does Watson have two wins at 7 over NZ? Super virgin* Van Der Flier does. *he is apparently very religious. He beat them all on his own? I'll need to take up religion if thats the effect it has! Collapse2005 wrote: Does Watson have two wins at 7 over NZ? Super virgin* Van Der Flier does. Yes and he can hear sign language. Much as expected with the injuries to Skinner and Nel. Toolis a bit unlucky to be dropped to the bench, but our lock options are much of a muchness really IMO, and hopefully Jonny's fully fit again. Harley on the bench is a bit of a weird one, given already three locks in the 23. Only covers one backrow position. Maybe Toonie felt we needed a bit more physicality from the bench after last week? Horne ahead of Hastings makes some sense (we were probably always going to leave Russell on for the full 80 here barring injuries), and allows Kinghorn rather than Harris for the 23 shirt, which is obviously sensible. Good to have Brown back. tigertattie wrote: He beat them all on his own? "Like I could take on the whole of the Empire myself!" "Really? Because... that would be awesome. HEY EVERYBODY! JOSH HAS GOT THIS!!" Good team all things considered. Easy home win. 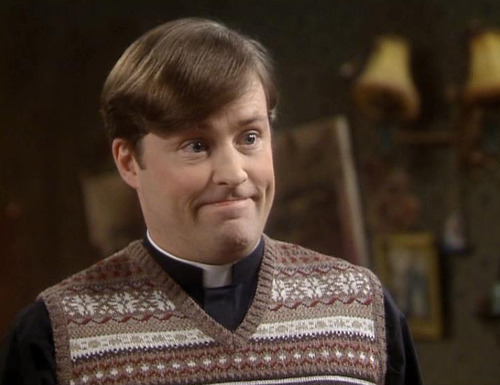 Henshaw is out for Ireland anyway. Id imagine that means Chris Farrell will start at 13. Oh, ignore me then What happened to him? BamBam wrote: Oh, ignore me then What happened to him? Joe beat him up apparently and made him cry. Scotland have made four changes to the starting line-up for this Saturday’s second-round Guinness Six Nations clash with Ireland at BT Murrayfield Stadium (kick-off 2.15pm) – live on BBC. Harley wasn't even in the training squad - he was released back to Glasgow last week. All things considered, pretty happy with the team. Our bench gives me considerably more comfort, so long as they can put in a shift for 20 mins without being forced off with a knock! I reckon blair is unlucky, I'd drop seymour to the bench for maitland but its not that big a deal. Bob Harley won't let us down i imagine, especially if the weather is awful he'll hopefully sure up our close quarters defence along with johnny gray. We can win but it can only happen if we don't let Ireland play the way they want. If the wind is a bit swirly it could be a bit of a grindfest sticking it up the jumper. RDW wrote: Harley wasn't even in the training squad - he was released back to Glasgow last week. Maybe he felt Graham did not show enough. I would have liked to see Ashe or Hardie in that bench spot, but I guess Toonie may have thought we will lose some bulk with Toolis coming on and Harley gives a bit more size. Harley will also make 20 tackles in 10 minutes if we are defending a lead. The problem with Harley is he has looked reborn as a lock, not a BS where he is likely to come on. Decent side, tough time to make a debut for Rae. Good that he has the Glasgow front row to go with and he is a solid enough scrummager at club level. No one covers 13 well so guess that will be Johnson or Horne's problem. Other than that, par for the course. I'm concerned about that centre partnership - it is hugely physical and direct and ours is relatively lightweight by comparison. shame to see they've picked a balanced back row too - was hoping for SoB at 8. I would have preferred Hardie too. But he's listed as injured: Squad players unavailable through injury: George Horne (shoulder), Lee Jones (knee), John Hardie (knee), Willem Nel (calf), Sam Skinner (ankle). Crikey, Ireland are dropping like flies. Big chance for Farrell but this is bound to affect our defensive cohesion a bit with a relatively unfamiliar midfield. One main advantage I can think of is Scotland's backline is much faster than Ireland's - Huw Jones and our back 3 could cause a lot of damage if we get the ball out wide. To be fair the headline isn't totally representative of the article. The headline seems to indicate that it's quote from Francis though. It doesn't match the tone of the rest of the article though. Toned down from last week. Scotland were missing the Gray brothers for Saturday and had selected the lamentable Ben Toolis again and Grant Gilchrist - not exactly the meanest, toughest hombres ever to represent Scotland in the second-row. If Ireland have a weakness, it's defending the wide areas and that’s where we're at our best in attack. I do find it odd having two locks on the bench, but I think we'll see big bad bob deployed at 6 when Strauss runs out of puff and Wilson moves over to 8. With the wind and rain that’s forecast, having the extra bulk won't do us any harm as I can see us having to put in a massive shift defensively and especially at the breakdown. well tell your dirver to plan an appropriate route and tell your team to get out of bed early enough to catch the bus! Pretty much the predicted Scotland team, other than Rob Harley, a typical left field Toonie selection that no-one saw coming. You would not imagine he will be playing at lock either with Toolis on the bench, where he has been playing most of his rugby at for Glasgow and where his future probably lies. He must have clearly impressed Toonie in training this week or he is a horses for courses selection in what will be a very physical game played in pretty poor conditions. Gary Graham is a similar sort of player though and you might wonder why he has not persevered with him. He did not really do a lot wrong in his cameo last week and did not really have time to make any kind of a ststement. Hardie injured again. He does seem to struggle now to put a run of games together and that may count against him going forward.